April Showers have brought Reduced Rates!! Start summer off right!! LUXURY BEACH FRONT CONDO ,SPECIAL PROMOTION ONLY APRIL $199 PER NIGHT . The unit also offers 3 Smart TV's, complimentary Netflix access and complimentary beach towels - all so you can sit back and relax in fine luxury on your next vacation to paradise. LOCATED ON THE BEACH PLEASE READ REVIEW!!!!! We are on the second floor and we do not have elevators. However, we have only 22 steps to reach the property. Accommodations: Cabana Beach Club is a relaxing retreat located directly on the Gulf of Mexico on the northern-end of Longboat Key with several units also located on the bay side. Choose from our various unit styles including one-, two-bedroom and efficiency units. Enjoy all the amenities of home in these fully furnished condominiums including TVs, VCR/DVD players, full-sized kitchen or kitchenette, dining room, and modern, beach-styled decorations. Dining: Although Cabana Beach Club does not have an on-site restaurant, it is centrally located within a short drive or bike ride from local salt-water cuisine. Longboat Key restaurants include Harry's Continental Kitchens (0.5 miles), Euphemia Haye Restaurant (0.5 miles), Pattigeorge's Fine Coastal Cuisine (2.55 miles), The Dry Dock Waterfront Grill (7.1 miles), or The Chart House (7.7 miles). Attractions: Longboat Key is known for it's leisure days spent strolling the beaches or biking down the island. As a barrier island to the town known as the area's "cultural capital", an assortment of entertainment options can be found at nearby Sarasota where >attractions and activities abound for all age groups. St. Armand's Circle of Lido Key is a must-see in the area. Located just 10 miles south of Cabana Beach Club this European-inspired outdoor shopping arena includes a large selection of classy stores, restaurants, jewelry galleries, and more! Rumor has it that circus magnate John Ringling won Lido Key in a poker game and turned the sister island to Longboat Key into a world-famous attraction. 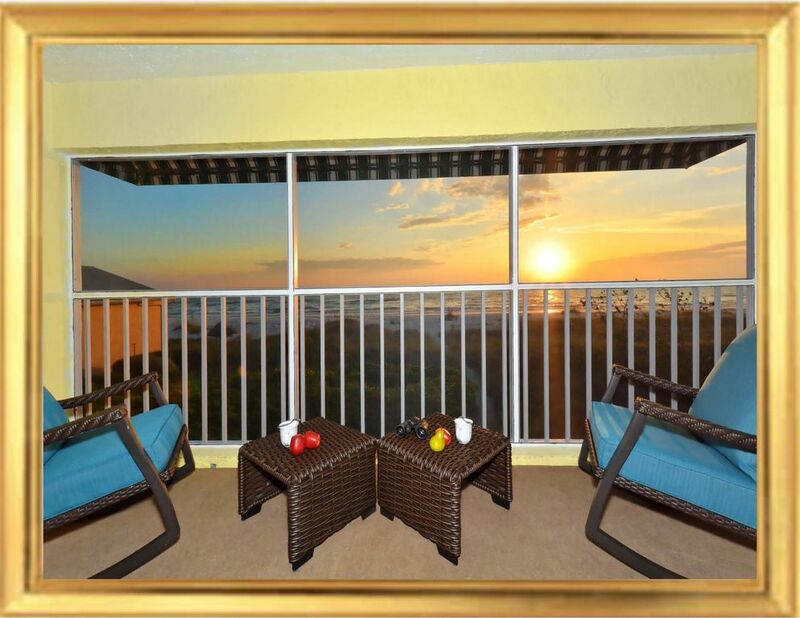 Unit #4 Features: 2-bedroom, 2-bathroom Gulf front unit including full size kitchen. This unit features suite-appointed amenities including a gas fireplace, welcome gifts, complimentary beach towels, 3 smart TV's, and complimentary Netflix access. Located directly on the Gulf of Mexico with direct beach access and breathtaking views. Also offering wireless Internet access! Welcome to the upgraded Luxury Guest Bedroom. If you wish to put the two twin beds together in order to make a king size bed, you are more than welcome to do that. In the closet you will find a zip-lock bag with 2 king size pillows, 2 sets of bed sheets and 2 blankets. There are three extra light bulbs in the drawer of the night stand. The remote control is labeled for your convenience. You will find additional instructions in the guest book which we placed in the living room. I am delighted to have you with us and I am looking forward to making you feel most comfortable. Therefore, this bathroom is equipped with 12 extra towels which can be found in the cabinet under the sink. This Honeymoon Bedroom is an oasis of romance and tranquility. The painting on the wall symbolizes continuously beautiful weather which is being admired by a woman, and the sun in the form of a mirror is to reflect the sunshine onto the whole room. In order to make the room even more luxurious, I added a 42” smart TV with Netflix. The remote control is labeled for your convenience. You will find additional instructions in the guest book. I am delighted to have you with us. For your convenience this bathroom is equipped with 4 extra towels which can be found in the cabinet under the sink. We might be able to find different accommodation for you if this one happens to be unavailable for the dates you’ve specified! Email us! Smart TVs in both bedrooms, with Netflix. The cabana was very clean & had plenty of room. The view is exactly what hoped for & the amenities were perfect. Thank you for a great stay. A wonderful unit with a great view of the Gulf. Thank you for your review. We work hard to ensure we offer our guests the best experience possible. My husband and I are return guests to Anna's property on Longboat Key. We enjoy relaxing on the beach. Condo is well equipped,close to restaurants and groceries . We are definitely planning on returning! Hidden gem on your own private beach! Our family loved the location of this hidden gem. Easy access to the beach for our 83 year old mother, wonderful sunsets, delicious restaurants, fabulous shopping and even a Yankees game in Tampa! Oh and throw in a Aaron Judge grand slam to top it all off and everyone was happy! The only negative was the guestroom bed, very uncomfortable but easily fixed with a mattress upgrade. Most relaxing vacation we’ve ever had! Phenomenal beach front cabana with gorgeous views! We had an absolutely wonderful time here. The beaches are beautiful and the area is very quiet. This place sits just south of some of key’s most amazing homes! The people here were very friendly and it was a very relaxing family atmosphere. The condo itself was impeccably clean and very nicely updated. We were perfectly comfortable to stay in and enjoy the view and sound of the ocean or make a quick trip out to the beach. Seems to be a very safe area as well. We will be back! We are so glad you had a great time and found our beloved second home relaxing. As you can see we work very hard at making sure the guests have the best experience possible. We hope you do stay with us again and hope that you will tell your friends about our beloved second home. Thank you again for the review and we look forward to welcoming you again! We had a great time! The view is great, beach isn't crowded, and the unit was well taken care of. We'll be back next time we're in the area!